Parents often read to their children. They read picture books and short stories with beautiful illustrations. But there is a world of poetry beyond Dr. Seuss to which we can also introduce our children. Unfortunately, it is often overlooked. Poetry offers a wonderful opportunity for our children to learn some of the foundational skills that are important as they become readers—phonemic awareness, word recognition, fluency. Once these skills are established, children can begin to develop their comprehension skills. 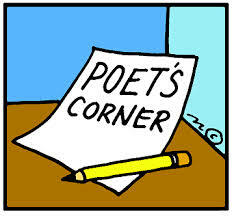 Poems are short, easy to learn and can be mastered in a short time.They have rhythm and rhyme. They are predictable and easy to memorize. As children improve their poetry reading skills, their comprehension will also improve and they will begin to read with appropriate expression, phrasing, volume and speed. Eloise Greenfield – Her poems are descriptive with a rhythmic style. They are realistic with a positive portrayal of African American communities. Mary Ann Hoberman – She is clever and witty. Writes mostly about nature and science, she is a gifted humorist living in Connecticut. Kenn Nesbitt – He includes imagery of outrageous, everyday events and makes fun of school life! Jack Prelutsky – Originally a folk singer, he writes imaginative and humorous verse. Some of his poetry is set to music! You can also get his audio anthologies. Shel Silverstein – First a musician and composer, then a cartoonist for many magazines before becoming a poet and illustrator. His poetry is hilarious and sure to make your child laugh out loud! Try Where the Sidewalk Ends, sure to make you and your children smile. His most popular book is the well known, The Giving Tree. Robert Louis Stevenson – Originally from Scotland, then moved to the United States. Though he is better known for his essays and books, he was a serious poet who loved literature. Have a wonderful summer and keep reading!! !